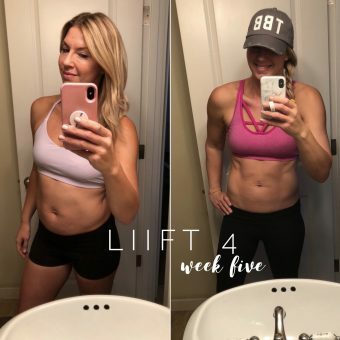 Week Two Liift 4 Review – Are You Looking for a Transformation? 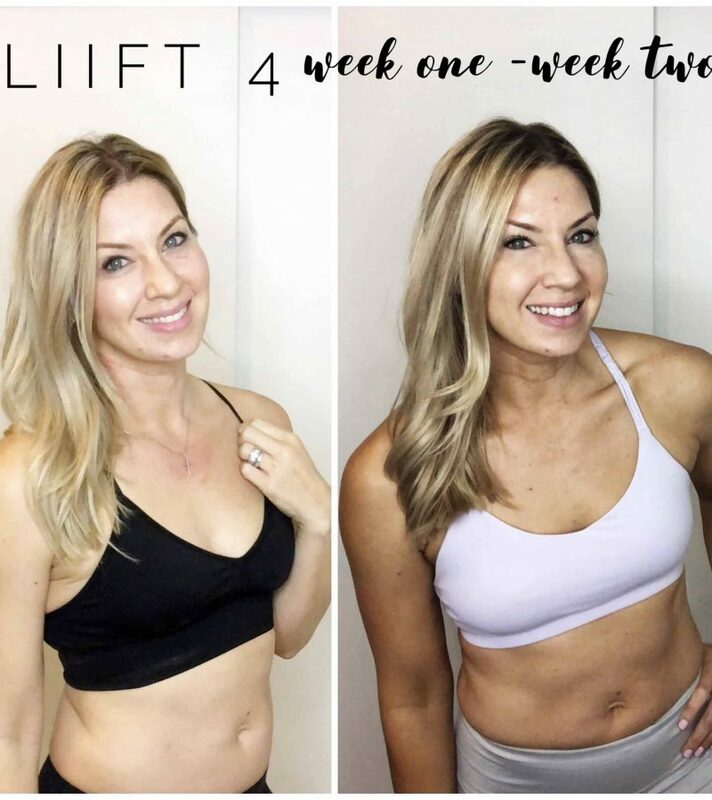 Week Two Liift 4 Review – A Mom’s Weight Loss Transformation! This week has been full of ups and downs! I didn’t get enough sleep which can hurt with progress and I didn’t feel or see many changes in my weight or body. 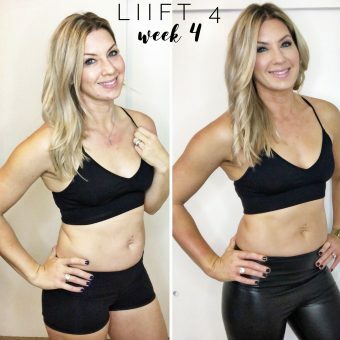 I stuck to the plan and did some fun shorter workouts on my free days. 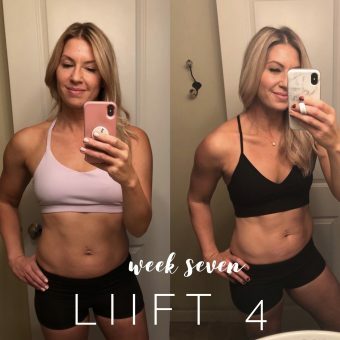 I always workout six days a week even when the plan is only four. I just feel better when I push play more often. I feel more alive once I’ve moved my body. Some realizations I had this week reminded me that change lives in the hard moments. Change happens when I want to give up and don’t. During the jump squats or mountain climbers, when I want to drop to my knees and stop, I dig deep and push harder. I know I have a reserve I can tap into and once I do, I build my inner strength. I’m hopeful that in a few days I will wake up and see the changes I think I deserved this week. And if I don’t, I won’t quit. I will stay in the game and push just as hard because the results will come. They will happen. I trust and believe. I also know that even though I gave up alcohol, my nutrition hasn’t been 100% on point. I drink my superfoods daily and focus on my containers but I also sneak treats like Trader Joe’s Power Berries, and extra peanut butter. 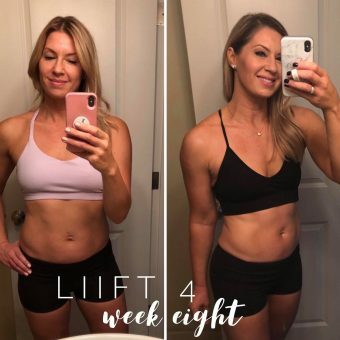 Dialing in sleep and nutrition this week and I can’t wait to see how I’ll feel!! 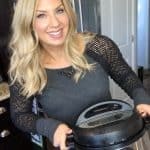 My Favorite Healthy Instant Pot Recipe!